Angela Zator Nelson, associate principal timpani and section percussion, joined The Philadelphia Orchestra in 1999 as the first female percussionist ever hired by the Orchestra. Along with performing classical music, Ms. Nelson is an active chamber musician with a forte in new music. She has premiered and recorded the first five of George Crumb’s American Songbooks written for the chamber group Orchestra 2001 and scored for four percussion, piano, and voice. The premieres took place at the Salzburg Music Festival, in Carnegie Hall, and in the Perelman Theater at the Kimmel Center for the Performing Arts in Philadelphia. Ms. Nelson also performs regularly with the Network for New Music and the Philadelphia Orchestra Percussion Group. Ms. Nelson has participated in the Tanglewood, Pacific, and Peninsula music festivals, the National Repertory Orchestra, and the Saratoga Chamber Music Festival. 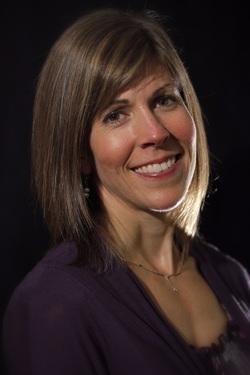 As a marimba soloist she has performed with the Temple University Symphony, Bay-Atlantic Symphony, Main Line Symphony, Philadelphia Classical Symphony, and Orchestra 2001. Ms. Nelson joined the faculty at Temple University as adjunct professor in 2001. She has given master classes to numerous students of all ages and has presented classes at the Percussive Arts Society International Convention, the Oberlin Percussion Institute, and at the annual Alan Abel School of Orchestral Studies. A native of the Chicago area, Ms. Nelson graduated with a Bachelor of Music degree from Northwestern University’s School of Music, where she studied with James Ross and Patricia Dash of the Chicago Symphony and marimba virtuoso Michael Burritt. While in Chicago Ms. Nelson was principal percussion of the Civic Orchestra for three years. She then earned a Master of Music degree from Temple University, where her principal instructor was former Philadelphia Orchestra member Alan Abel. Ms. Nelson and her husband, percussionist David Nelson, enjoy working as a percussion duo performing recitals and educational concerts for both children and adults. They are also members of the Bob Beach Trio performing blues, folk, and rock in local coffeehouses and regularly at Philadelphia’s World Café Live. They are also proud parents of three daughters. Ms. Nelson is a Zildjian Performing Artist and endorses their cymbals. She also endorses Grover Pro Percussion.